From addressing how to prepare your operation for the new integrated mortgage disclosures to continuing implementation of Best Practices, ALTA provides the education and information you need to stay compliant and grow your business. Take advantage of our Member exclusive 4-Pack Special registration offer and save 25 percent—a total of $505 off the combined registration fees—for all three of ALTA's 2015 major conferences as well as our Social Media Summit. Offer ends Dec. 31, 2014. This edition's cover article “Title Industry Rides Tall in the Saddle” profiles ALTA President Diane Evans, who encourages title professionals to find their passion, get more involved with their trade associations and cultivate relationships with legislators and regulators. Other features in this edition include "Regulators Attempt to Open Mortgage Lending Spigot, "Wells Fargo Details Plans for Production, Delivery of CFPB’s Closing Disclosure," "Top Cyber Threats and 10 Security Tips," "ALTA Member Company Honored for Community Impact," "Title Action Network Membership Passes 10,000" and "Two Companies Receive Elite Provider Memberships with ALTA," as well as other industry news and the newest ALTA members. Additionally, the digital edition includes material not included in the print edition. On page 24, you will find a recording of the panel discussion “How the Closing Disclosure Will Affect the Way You Do Business,” which was held during ALTA’s 2014 Annual Convention in Seattle. Michelle Korsmo, ALTA’s chief executive officer, joined Bill Beckmann of MERSCORP, Kyung Cho-Miller of JPMorgan Chase and Joe Tyrrell of Ellie Mae in being named to the Mortgage Industry Standards Maintenance Organization Board of Directors. Just four months after merging with another homebuilder, TRI Pointe announced the launch of a suite of home buyer services that will provide support throughout the closing process, including TRI Pointe Assurance, which will act as a title agency for First American Title Insurance Co.
Danette Starling, a title professional with more than 30 years of industry experience, joined the company as senior commercial title officer. North American Title Insurance Co. now offers one-click generation of closing protection letters and policy jackets to its agents who use the E-Closing cloud-based title processing system. ALTA’s Elite Provider Membership Program is comprised of premier service providers committed to offering comprehensive benefits to the title insurance and settlement services industry. Elite Providers promote the highest industry standards and provide effective solutions for ALTA members’ critical needs. Bank of America became the second national lender to announce it will handle production and delivery of the Closing Disclosure when the Consumer Financial Protection Bureau’s integrated mortgage disclosure rules go into effect Aug. 1. The lender said it will no longer use email, fax and other document delivery methods, but will use Closing Insight to support implementation of the new disclosures and exchange all documents and data to ensure that non-public personal information is protected. Northern Star Bank became the first FDIC-insured institution to fail in the North Star State and the 18th in the nation. As a member of ALTA, you can save up to 36 percent with the UPS Savings Program. Plus, get 50 percent off UPS Next Day Air, UPS Next Day Air Saver, UPS Worldwide Express export, UPS Worldwide Saver export and UPS Worldwide Expedited export shipments for up to four weeks after you enroll. Sangamon County Recorder Josh Langfelder announced Dec. 3 that his county processed the first electronically recorded deed in Illinois. Bank of Springfield used eRecording Partners Network to submit an electronic PTAX form, which is used to disclose transfer tax. Some of the most significant proposed changes would involve new protections for certain successors in interest—surviving family members, and other homeowners who inherit or receive property—when there is still an outstanding mortgage loan on the property. The proposed rule and disclosures are open for public comment in the Federal Register until March 16. RamQuest employees on Dec. 8 presented Children’s Health Children’s Medical Center Plano with a dozen wagons filled with toys. The Property Records Industry Association's Redaction Best Practices paper addresses the availability of information about individuals contained in land records maintained by recorders and the technical solutions of redaction. With the clock ticking on the sunset of the Terrorism Risk Insurance Act (TRIA), ALTA joined 56 other groups and associations urging the Senate to pass S.2244, the Terrorism Risk Insurance Program Reauthorization Act of 2014. Stewart Title Guaranty Company's Community of Sharing program has donated approximately $125,000 in funds to support U.S. troops over the past three years. ALTA has served its members from the same office space for nearly as long as the existence of the Real Estate Settlement Procedures Act, which went into effect in 1975. On Monday, ALTA will be in a new, modern office to better serve its growing membership, which has nearly doubled since 2001. Due to the move, ALTA members may be unable to access the ALTA website, our database or Homeclosing101 from 12 p.m. ET, Friday, Dec. 12, until 9 a.m., Monday, Dec. 14. ALTA's phones and email also will be down during this time. The Register of Deeds Office in Douglas County, Neb., has selected the Landmark Official Records system from Pioneer Technology Group as the office’s new recording and public search system. Webinar Recording: Is It Time to Get Best Practice Certified? You've implemented ALTA's "Title Insurance and Settlement Company Best Practices" and conducted a self assessment, but now what? It may be time to get ahead of lender requirements and get assessed and certified. Listen to a recording of the webinar "Is It Time to Get Best Practice Certified? How to Prepare, Understand the Options and What to Expect" as experts in attestation and certification walk through what your company should do to prepare for a third-party assessment, the different options, what to expect and how to promote your company once certified. The webinar also discusses tools developed by ALTA to help get your operation primed for Best Practice perfection. For the fourth consecutive year, ALTA has partnered with Children’s Law Center and its Holiday Hope Drive to provide gifts to underprivileged children in the Washington, D.C., area. With guidance from its Best Practices Task Force, ALTA has developed Assessment Readiness Guides to help members evaluate if they are prepared to undergo an assessment to determine compliance with each pillar of its "Title Insurance and Settlement Company Best Practices." Generally, the creditor decides how it wishes to itemize the origination charges section on the Loan Estimate. However, some charges are required to be itemized. Read on for information on how to disclose points and fees, as well as Loan-Level Price Adjustment. Jonathan Sayas will provide underwriting guidance to Stewart Title Guaranty Company's independent title agencies and affiliated offices in the state. According to ALTA's Third-Quarter 2014 Market Share Analysis, title insurance premium volume decreased 10.8 percent during the third quarter of 2014 when compared to the same period a year ago. This integration allows users to request NATIC policy jackets and closing protection letters directly from a TitleExpress order. The Federal Housing Administration announced limits for the highest ($625,500) and lowest ($271,050) cost areas will remain the same in 2015. These loan limits are effective for case numbers assigned on or after Jan. 1. Three new endorsements and one new policy approved by ALTA’s Board of Governors in October have completed the comment period and have been posted as final on ALTA’s website. Read on to view the finalized documents. Title companies are suing banks. Banks are suing title companies. Why? To recover escrow funds stolen from fraudulent transfers due to cyber breaches. With cyber threats only expected to increase, title and settlement companies must take action to protect customer data and funds. Listen to a webinar recording to learn some of the key processes that can implemented today to help meet the second and third pillars of ALTA’s Best Practices. Participating on the webinar are two data security experts, two specialists in protecting escrow funds, and an owner of a title company who shares how his office implemented various safeguards to protect his company and his customers. The Maryland Judiciary has selected Simplifile to develop an electronic recording system for the Baltimore County Circuit Court’s e-recording pilot, which will begin next spring and give customers the ability to record land record documents online. Utilizing its Secure Home Forms system, buyers and sellers working with Edina Realty Title will be able to securely transmit non-public personal information needed to close on their home. ALTA is pleased to announce that it added more than 100 new members over the past month, bringing total membership to nearly 5,400. In addition, ALTA also welcomes six new associate members and 40 real estate attorney members. Read on to check out an entire list of new members. 2015 Conforming Loan Limits Unchanged in Most of U.S.
Loan limits, which are established under the terms of the Housing and Economic Recovery Act of 2008 and calculated each year, will rise in 46 counties due to increases in local home values. With the acquisition, the company now has 26 offices throughout Florida from Key West to Pensacola. Fidelity National Financial has signed a definitive agreement to acquire BPG Holdings, which provides home warranties and inspections for residential and commercial transactions. With the Aug. 1 implementation of the new integrated mortgage disclosures fast approaching, and the continued implementation of ALTA’s Best Practices, education and information exchange is critical. Title professionals need to stay informed of all the changes in order to remain competitive and compliant. You can help by sharing your industry knowledge and expertise by submitting a presentation proposal to speak at ALTA’s 2015 Business Strategies Conference, which will be held March 18-20 at the Sheraton Downtown in Philadelphia. The Title Action Network, the premier grassroots organization promoting the value of the land title insurance industry, recently honored several title professionals and state land title associations for efforts to grow membership and protecting the industry. Solutionstar Holdings LLC, an indirect wholly-owned subsidiary of Nationstar Mortgage Holdings, entered into a definitive agreement to acquire Title365 for $36 million. Stewart Title Guaranty Company announced a transition of leadership in the agency services group effective Jan. 1. The Florida Land Title Association awarded its prestigious Raymond O. Denham Award to Shelley Stewart CLC NTP, president of Southern Title, during at its 2014 Annual Convention. Title Alliance is implementing NextDeal technology that aims help increase closings and customer count by alerting the closing agency and its professional customers when past homeowner-clients are likely reentering the market. Robert Newlon spent more than 50 years in the title insurance industry, starting his career during the 1950s with Phoenix Title (which eventually became Transamerica Title). When news spread that Newlon passed away at the age of 84 on Nov. 7, many were quick to offer their respect and admiration of a man who cared deeply for title insurance industry, and served as a mentor and friend to many. The public accounting and consulting firm PYA said the certification by Brandt and Beeson demonstrates that organizations of any size can meet the guidelines. Pango Group, independent escrow company in California, recently completed a Statement on Standards for Attestation Engagement No. 16 (SSAE 16) SOC 1 and SOC 2 Type I audit, which certifies that a company follows policies and procedures to protect non-public personal information. With data breaches, phishing and other computer hacks placing millions of Americans’ personal financial information at risk, North American Title Co. is providing home buyers and sellers who close with the company on or after Dec. 1, 2014 a year of free identity theft repair coverage. Through regulation or rate filing, title companies in about half the states offer discounts on the loan policy when an owner’s policy is simultaneously purchased. Despite the common practice, the CFPB's final rule for integrated mortgage disclosures prohibits settlement agents or lenders to disclose the discounted simultaneous issue price for the lender’s title insurance policy on the Loan Estimate and Closing Disclosure forms. Additionally, ALTA points out that the CFPB's method for disclosure of title fees will also cause confusion in seller-pay states. Although the Consumer Financial Protection Bureau's final rule for its integrated mortgage disclosures has specific requirements for disclosing interest rates, it does not address how interest rates should be disclosed under certain circumstances. Read on for part one of our blog post as we discuss disclosure of interest rates. Chicago-based Greater Illinois Title Co. (GIT) has been recognized as one of the top places to work in the Chicago metropolitan area by the Chicago Tribune. Cloudstar, a national provider of technology solutions for the land title industry, partnered with Chicago-based Ralston & Anthony Advertising to bring strategic web design, digital media services and social media management to the land title industry. The new feature allows agents to generate First American Title policy jackets and policy numbers from within Adeptive's ResWare platform. Mark Fleming will provide valuable commentary on and forecasting of trends in the real estate and mortgage markets. As part of the transaction, eLynx acquires Medallion's services that help lenders and settlement services extract and use data in documents to ensure greater quality, accuracy, and compliance in loan documents from pre- to post-close. As of Nov. 1, e-recording is available in more than 1,200 recording jurisdictions. ALTA President Diane Evans says e-recording helps title companies address the fourth pillar of ALTA’s Best Practice guidelines, which calls for the timely recording of documents, and the tracking of document rejections and responses. Aldridge Connors recently became certified to ALTA’s Best Practices for its Georgia operations from the independent accounting firm of Habif, Arogeti & Wynne. Following outreach to members of the industry that have conducted assessments, ALTA's Best Practices Task Force and Internal Auditing Committee proposed to amend Assessment Procedure 3.09(a) to focus on encryption of data in transmission and remove reference to encryption of data at rest. North American Title Insurance Co. (NATIC) has entered into a partnership with PCN Network for its newly released Safe Escrow Services, which provides title agents, title underwriters and lenders a compliant, secure and flexible managed disbursement solution for mortgage loan funding. This project will identify industry best practices for Land Records Management Systems in both the paper and electronic worlds, according to the Property Records Industry Association. The Working Group created the documents in response to their charge to determine the feasibility of promoting effective consumer shopping for title agents and insurers without delaying real estate closing schedules and to consider developing best practices for the design and implementation of title cost comparison guides for consumers. LenderSecure will host the second of its free Best Practices Boot Camp webinars from 2:00-3:00 p.m. EST, Nov. 19. The webinar will discuss security assessments, technology solutions, and document storage and destruction. Habif, Arogeti & Wynne LLP, a Georgia-headquartered tax, accounting and business consulting firm, has partnered with Fidelity National Title Group as a preferred vendor for ALTA’s “Title Insurance and Settlement Company Best Practices” compliance benchmarking and reporting services. GreenFolders, a paperless office management solution provider to the title and settlement services industry, announced the integration with eRecording Partners Network, a national eRecording service provider. Stan Hunter was named vice president and state agency manager in Ohio, while Ethan Powsner moved into a new role for FNTG’s Midwest Agency as he was named vice president and director of compliance, market and technology development. Economists expect single-family production to rise 2.5 percent this year to 637,000 units, increase an additional 26 percent next year to 802,000 and reach 1.1 million in 2016. Minnesota-based TitleSmart Inc. recently was named one of the Fast 50, fastest-growing private companies in the Twin Cities area by the Minneapolis/St. Paul Business Journal. The Mortgage Bankers Association reports that the increase in commercial/multifamily lending volumes, when compared to the third quarter of 2013, was driven by an increase in originations for industrial and multifamily properties. Complaint management is a new area of compliance for everyone involved in real estate finance including lenders, title and settlement agents, and attorneys. The Consumer Financial Protection Bureau has made it clear that this is an essential part of an effective compliance program and has a section in their examination manual specifically on complaint management. This is not a regulatory requirement that is going away. Read on for information about an upcoming free online workshop on Nov. 5 aimed at assisting settlement service providers implement the seventh pillar of ALTA’s Best Practices. Meridian Title Corp., a locally owned title and escrow company headquartered in South Bend, Indiana, recently completed its examination in conformity with Statement on Standards for Attestation Engagements (SSAE) No. 16, Reporting on Controls at a Service Organization. American Escrow Reconciliation Inc., a nationwide third-party escrow and trust account reconciliation company, has merged with Entrust Solutions. This edition's cover article “Renewed Push for Paperless Transactions” highlights how the Consumer Financial Protection Bureau’s efforts to improve the closing process has stirred new vigor for broader industry adoption of electronic mortgages. Other features in this edition include “7 Tips to Go Paperless,” “CFPB Proposal Would Create Yelp-like System for Financial Services, “Moving Past the Box of Doughnuts,” “Pilot Program in Chicago Could Boost Order Pipeline from Community Banks, Credit Unions,” as well as social media tips, ALTA and industry news, and the latest ALTA member profile. The ALTA Board of Governors recently approved three new endorsements and one policy during its meeting at the 2014 Annual Convention in Seattle. Public comments will be accepted until Nov. 21. With the addition of Lake County, 11 of the 15 largest counties in Ohio are accepting e-recording of real estate documents. The Mortgage Bankers Association expects to see $1.19 trillion in mortgage originations during 2015, a 7 percent increase from 2014. While MBA anticipates purchase originations will increase 15 percent, it expects refinance originations to decrease 3 percent. Legislation supported by the New York State Land Title Association that went into effect Sept. 29 brought New York into the ranks of 47 other states that require licensing of title insurance agents and companies. William McNamara, a 30-year industry veteran, has been named president of Weichert Title, and will assume all leadership responsibilities for the company’s various title businesses. Fannie Mae announced it is looking to hire a product development and financial services manager with experience with the settlement process and creation of the HUD-1 and knowledge of the Consumer Financial Protection Bureau’s final rule for integrated mortgage disclosures. The integration with New World Property Data’s Search platform into will allow users of ResWare to electronically submit orders to New World Property Data’s proprietary platform. ALTA is pleased to present its 2014-15 ALTA Board of Governors, as well as the Abstracters and Title Insurance Agents Executive Committee and the Title Insurance Underwriters Executive Committee. Habif, Arogeti & Wynne LLP a Georgia-based tax, accounting and business advisory firm, introduced its ComplianceSuccess Program, which provides benchmarking and reporting services across all seven of ALTA’s Best Practices pillars. Register for our next Title Topics webinar, "Fortify Your Business: Lock Down Data and Protect Client Funds," which will be held from 2:00-3:00 p.m. ET, Thursday, Oct. 23, to learn about some of the key processes that you can implement today to help meet the second and third pillars of ALTA's Best Practices. Atlantis National Services, a 32-state licensed title insurance agent, announced it has completed a Service Organization Control examination by its auditors at Mayer, Hoffman, & McCann. The American Land Title Association is proud to announce its Board of Governors awarded Honorary Memberships to Rande Yeager, Herschel Beard and Cliff Morgan. The Title Action Network, the premier grassroots organization promoting the value of the land title insurance industry, announced that its membership has surpassed 10,000 individuals. The professional designation was received by Joy Herndon of Cardinal Abstract Company in Warrenton, Va.; Doug Bello of D. Bello Associates in Pasadena, Calif.; John Voso Jr. of Old Republic National Title Insurance Company in Independence, Ohio; and Brent Laliberte of Bayou Title in Terrytown, La. NeXtraction gives title insurance, mortgage and real estate companies the ability to turn document images into usable data and information. eLynx, a portfolio company of American Capital, has entered into a definitive agreement to acquire the assets of Medallion Analytics Company, a provider of services that help lenders and settlement services companies extract data from documents rather than relying on image files. This data can then be used to pre-populate forms and ensure greater quality, accuracy and compliance in loan documents from pre- to post-close. First American Financial Corp. recently commemorated its 125th anniversary with an emphasis on the people that made the impressive milestone possible—its employees, title agents and customers. Join our Virtual Conference or invite others to participate, as ALTA will provide live video from the general sessions. Today's general session starts at 12:15 p.m. ET (9:15 a.m. PT). Opening the general session will be a panel discussion on how the new Closing Disclosure will affect the way title agents conduct business. Closing the general session will be Ken Schmidt, who has been associated with Harley-Davidson since 1985 and successfully helped rebuild the company’s brand and played a vital role in the motorcycle legend’s turnaround from the brink of ruin to global dominance. The regulatory and compliance pressures facing the title industry may seem daunting. Understanding the anxiety these demands are putting on members, ALTA focused on providing speakers and content for the 2014 Annual Convention in Seattle that will empower title professionals as they wade through this regulatory compliance age. Read on for a summary of all the general sessions and hear from a few of the more than 900 attendees on why they will attend this year's convention. The state's insurance commissioner said the common thread in each of the fraud attempts is the use of a cashier's check, a request for a partial disbursement and a commercial property that exists, but is not for sale. American Tax & Property Reporting Inc., a provider of technology-focused solutions for the real estate and settlement services industry, launched a new property search product called SmartProp. ALTA has announced that Real Estate Data Shield and RynohLive have received the “Elite Provider” membership with the association. The program is comprised of premier service providers committed to offering comprehensive benefits to the title insurance and settlement services industry. The e-jacket integration enables WFG agents using Closing Market to generate electronic policy jackets without ever having to leave their RamQuest title and settlement system. Title companies are suing banks. Banks are suing title companies. Why? To recover escrow funds stolen from fraudulent transfers due to cyber breaches. With cyber threats only expected to increase, title and settlement companies must take action to protect customer data and funds. Register for our next Title Topics webinar, “Fortify Your Business: Lock Down Data and Protect Client Funds,” which will be held from 2:00-3:00 p.m. ET, Thursday, Oct. 23, to learn about some of the key processes that you can implement today to help you meet the second and third pillars of ALTA’s Best Practices. Pioneer Technology Group's YourDox, a secure document delivery and online marketing system for title agencies, has been selected by WFG National Title Insurance Co. as a preferred Best Practices partner for its independent title agents. ALTA's Policy and Procedure Creation Guidance includes detailed instructions and tips on how to draft policies and procedures that fit a company’s practices, an example of what written policies and procedures should look like, and a policy and procedure template. ALTA has developed a robust lineup of professional development sessions designed to give you a competitive advantage in the market, including many sessions dedicated to Best Practices. There has been some confusion as to how to disclose discounted premiums on the CFPB's integrated mortgage disclosure forms. In a situation where there is a discounted premium, the discounted premium should be disclosed in lieu of disclosing the full amount and the applicable discount separately. Read on for more details. Title Resource Group has agreed to acquire the assets of Guardian Transfer Corporation, which is Realty Select’s affiliated title and escrow company in Harrisburg, Lancaster and surrounding areas in Pennsylvania. Entrust Solutions, a title insurance servicing company, recently added Fidelity National Title Group to its Nexus Program of Underwriters, which provides small to medium size agents and attorneys a platform to conduct real estate closings with little risk. As vice president and national underwriting counsel, Dana Grutchfield will serve as a legal resource for corporate and field operations personnel, focusing on underwriting commercial title insurance risks over $25 million and providing legal and business advice to and on behalf of the company. Leanne Zinn-Cox brings more than 20 years of experience to her role as RedVision's executive vice president of sales and marketing. Warren County in Ohio recently selected Pioneer Technology Group’s Benchmark Court Management System, which provides courts paperless access to all case information, documents and images. The management company of the building where ALTA’s office is located has scheduled a building-wide electrical shutdown to perform preventative maintenance. Because of this, ALTA’s website and phones will be unavailable from 1:00 p.m.ET Saturday, Oct. 4 until the morning of Sunday, Oct. 5. Boise, Idaho-based TitleOne received recertification for the Statement on Standards for Attestation Engagements (SSAE) No. 16. A recognized auditing standard developed by the American Institute of Certified Public Accountants, SSAE 16 verifies that a company has been through an audit of its control objectives and activities to ensure the safety and security of its customer data. The real estate and mortgage finance industries continue to be under intense scrutiny. From the Consumer Financial Protection Bureau to state regulators, business practices are being examined. This is why active participation is needed in the Title Action Network, the title industry’s grassroots organization. Wells Fargo detailed plans on how it will handle production and delivery of the Closing Disclosure once the form goes into effect Aug. 1, 2015. In a newsletter to its settlement agents, the lender also said it plans to continue collaborating with settlement agents to schedule and conduct closings, and develop processes to improve data exchange. Sharing of data needed to complete the Closing Disclosure is why it will be essential for title professionals to implement Best Practices and safeguard customer information. Read on for more details on the plan Wells Fargo has for the Closing Disclosure. ALTA Blog: Endorsement Fees: To Include or Not to Include? As title professionals handling closings become more familiar with the CFPB’s integrated mortgage disclosure forms, some questions have come up regarding disclosing endorsement charges. Since the final rule does not address endorsement charges and only speaks to disclosing the policy premium, there is no clear guidance as to how to disclose endorsements. Read on for input from ALTA's Integrated Mortgage Disclosures Task Force. The Consumer Financial Protection Bureau's next webinar to answer frequently asked questions regarding the RESPA-TILA Integrated Disclosures rule will be held from 2-3 p.m. EDT, Wednesday, Oct. 1. Pioneer Title Agency was honored recently with a 2014 Arizona Corporate Excellence (ACE) Award, which recognizes the innovations and positive community impact of the Arizona’s most successful private businesses. Chicago-based Greater Illinois Title Co. announced it has opened a full-service title insurance and closing operation in Indiana, with a main office in Merriville and closing locations in Munster, Valparaiso and St. John. First National Title Insurance Co. recently announced expansion into the New Mexico market. A.S.K. Services Inc. has teamed up with North American Title Insurance Co. (NATIC) to provide title searches and recording solutions to NATIC’s independent agents via its SearchLink Network for the states of Michigan, Ohio and Indiana. Available to ALTA members, this Assessment Readiness Guide can be used to help companies determine if they are prepared to undergo an assessment to determine compliance with pillar No. 2 of ALTA’s Best Practices, which provides guidance on adopting and maintaining appropriate written procedures and controls for Escrow Trust Accounts. First International Title’s CEO Jim Moran has been an advocate for making real estate closings easier and more efficient. That's why he pushed for his company to offers e-recording through Simplifile in all of its 25 branch offices in Florida. The fourth pillar of ALTA’s “Title Insurance and Settlement Company Best Practices” addresses recording procedures to ensure compliance with the settlement process. Implementing a tracking mechanism is helpful in providing a record of what documents were sent, when they were sent and method of delivery. The use of e-recording can aid in the implementation and documentation of procedures. ALTA’s Board of Governors approved a motion encouraging members to conduct a self-assessment of their adoption of ALTA’s “Title Insurance and Settlement Company Best Practices” no later than September 2014. To help with this, ALTA has developed an Assessment Readiness Guide exclusive to members. reQuire, a provider of lien release tracking and reporting service for the real estate settlement services sector, announced that it has completed the acquisition of one of its chief competitors, Final Trac. Richard Lundbeck has joined North American Title Co. as its new senior vice president and division manager for Santa Clara and Alameda counties in California. According to eLynx, the certification tells lenders which technology providers offer simpler, less costly integration and data interoperability with other systems. This need to efficiently exchange data will become more critical with the Aug. 1, 2015 implementation deadline for the new integrated disclosures. The clerk and recorders office in Douglas Count, Colo., selected the Landmark Official Records system from Pioneer Technology Group as the county's new recording and public search system. This is the first installation of the Landmark system in Colorado. Charlie Kent will be responsible for developing new client relationships and supporting existing ones for the company's settlement services division. With it being National Preparedness Month, Agility Recovery has created an infographic that highlights the importance of having a disaster recovery plan and the steps you can take today to put your plan into action. Check out the infographic to learn how to rate your risk, tips for creating a crisis communications plan, to get a template for creating emergency wallet cards and tips for conducting a simple disaster recovery test. The cover article of the August edition of TitleNews titled “The Legal Front” highlights the top 10 court decisions that all title professionals should know about. The August edition also includes the following features: CFPB Enforcement Targets RESPA Violations, AfBAs; How to Select and Negotiate Proper Cyber Insurance Policy; 2014 First-quarter Family/Company Summary Title Premiums; ALTA Member Profile: David Townsend; Attorneys’ Title Guaranty Fund Marks 50th Anniversary; and others. Additionally, the digital version includes audio of Phil Schulman reviewing sections of the Real Estate Settlement Procedures Act and explaining why the statute is important to title professionals. ALTA’s Nominating Committee is pleased to present the list of nominations for the 2014-15 ALTA Board of Governors, as well as the Abstracters and Title Insurance Agents Executive Committee and the Title Insurance Underwriters Executive Committee. Nominations will be voted on during the 2014 Annual Convention, being held Oct. 15-18 in Seattle. The integration enables WFG’s agents to generate policies inclusive of their jackets through Adeptive's ResWare platform. During its Annual Conference in Long Beach, Calif., the Property Records Industry Association (PRIA) elected six directors in three categories for two-year terms on the Board of Directors. ALTA's Kelly Romeo was re-elected in the business category and begins her fifth two-year term as a board member. On Oct. 17, the Illinois Bar Foundation (IBF), the charitable arm of the Illinois State Bar Association, will present its 16th Annual Distinguished Award for Excellence to Peter J. Birnbaum, president and CEO of Attorneys’ Title Guaranty Fund Inc.
SoftPro won a prestigious Gold Stevie Award for Product Development Team of the Year at the 12th Annual American Business Awards held Sept. 12 in San Francisco. This paper is the result of a collaborative effort of PRIA business and government members spanning more than two years. Deadline to submit comments is 5 p.m. ET, Thursday, Oct. 9. SCA will conduct risk assessment services for Fidelity National Title Group's 5,000 independent agents, giving assurance that information assets are properly safeguarded. Lenders have contended with an avalanche of regulatory changes due to the Dodd-Frank Act, but they are starting to focus on ways to reduce risk at the settlement table. This means they will be knocking on your door to learn the policies and procedures you follow to reduce risk, protect funds, ensure non-public personal information is safeguarded and resolve consumer complaints. You can prepare now by attending ALTA's 2014 Annual Convention in Seattle. An entire professional development track has been devoted to educating attendees about Best Practices. You've implemented ALTA's "Title Insurance and Settlement Company Best Practices" and conducted a self assessment, but now what? It may be time to get ahead of lender requirements and get assessed and certified by a third-party. Listen to a webinar recording as experts in attestation and certification walk through what your company should do to prepare for a third-party assessment, the different options, what to expect and how to promote your company once certified. The webinar also shares tools developed by ALTA to help get your operation primed for Best Practice perfection. The burea has updated its Small Entity Compliance Guide for the TILA-RESPA Integrated Disclosure Rule, updated a guide for the Loan Estimate and Closing Disclosure and created a timeline to aid understanding of the process and timing of disclosures. DocMagic, a provider of loan document preparation, compliance, e-sign and e-delivery solutions, partnered with Mount America Credit Union to perform one of the first paperless closings for a loan insured by the Veteran’s Administration. The American Title Reinsurance Alliance announced that Plano, Texas-based First National Title Insurance Co. has become the sixth member of its alliance. Kelly McCarel has joined North American Title Insurance Co. as its new industry education and research specialist and will oversee the production of educational offerings and informational materials to assist NATIC agents with compliance issues and business growth opportunities. Richard Miller has been elected as trustee for the 10th Circuit on the board of Attorneys’ Title Insurance Fund. He has also been appointed as a member of the Attorneys’ Title Insurance Fund Inc. Board of Directors. First American Title Insurance Co. launched a new multilingual website and online video library to help multicultural consumers pursue home ownership and navigate the title and closing process in the United States. In a whitepaper, RynohLive explains that by following some simple escrow accounting best practices and harnessing today's technology, companies can enhance the protection of client funds and safeguard their business from theft. The whitepaper presents six steps that include an explanation of why these specific best practices are critical, as well as answers to common questions and expert insight on fact-based scenarios. In a whitepaper titled “Defend Yourselves –We Are Under Attack,” Secure Cloud Systems says more needs to be done to protect sensitive data from the increasing threat of cyber attacks. Echoworx Corp., a provider of email encryption for the land title industry, has partnered with the Old Republic Title Insurance Group to provide email encryption solutions for the company's direct operations and policy-issuing agents. Michelle Korsmo, ALTA’s chief executive officer, will participate Sept. 8 on a panel titled "Managing Vendors to Minimize Risk," during the Mortgage Bankers Association’s Risk Management and Quality Assurance Forum in Miami. The refinance pipeline has dried up and won't be returning anytime soon. Meanwhile, the purchase market has been slow to fill the void. With orders hard to come by, agents and abstracters need all the help they can get to generate new business. If you are done playing games and doing things the way the industry has always done them, join us for the next Agents and Abstracters Forum on Wednesday, Sept. 17 in Lincoln, Neb. The Forum will be held in conjunction with the Nebraska Land Title Association's Annual convention. Danielle Kaiser, underwriting counsel for Agents National Title Insurance Co., was recently awarded a National Title Professional designation from ALTA. She is the second person from Indiana to earn the designation. ALTA members have exclusive access to a UPS Savings Program and can take advantage of some of the most competitive rates available on shipping services with UPS. Register for ALTA’s 2014 Annual Convention to learn how Ken Schmidt helped fuel one of the most celebrated turnarounds in corporate history. Diane Evans, ALTA’s president-elect, and Anne Anastasi, ALTA’s 2010-11 president, will speak at the Virginia Land Title Association’s 2014 Fall Seminar, which is being held Oct. 9-10 at the Norfolk Waterside Marriott. The ALTA associate members participating are Pavaso Inc. and eLynx. The companies join three other software vendors, Accenture Mortgage Cadence, DocMagic Inc. and PeirsonPatterson LLP. Seven lenders were named to the program as well, Blanco National Bank, Boeing Employees Credit Union, Franklin First Financial Ltd, Flagstar Bank, Mountain America Credit Union, Sierra Pacific Mortgage and Universal American Mortgage Co.
Three ALTA member companies were recently named to the Inc. 5000 List of America’s Fastest-Growing Private Companies according to percentage revenue growth when comparing 2010 to 2013. The integration improves visibility into escrow accounts through increased capacity to share and view data between TitleExpress and TrustLink. Simplifile customers can now e-record in Jefferson Parish, La., which is the first recording jurisdiction in the state to join Simplifile’s electronic recording network. The fourth pillar of ALTA’s “Title Insurance and Settlement Company Best Practices” addresses recording procedures to ensure compliance with the settlement process. Implementing a tracking mechanism is helpful in providing a record of what documents were sent, when they were sent and method of delivery. The use of e-recording can aid in the implementation and documentation of procedures. You've implemented ALTA's "Title Insurance and Settlement Company Best Practices" and conducted a self assessment, but now what? It may be time to get ahead of lender requirements and get assessed and certified by a third-party. Register for ALTA's next Title Topics webinar "Is It Time to Get Best Practice Certified? How to Prepare, Understand the Options and What to Expect" and join us for from 2:00-3:00 p.m. ET, Wednesday, Aug. 20. Experts in attestation and certification will walk through what your company should do to prepare for a third-party assessment, the different options, what to expect and how to promote your company once certified. The webinar will also share tools developed by ALTA to help get your operation primed for Best Practice perfection. The paper was the result of a collaborative effort which included recorders, title company representatives and land records management system vendors. Stewart unveiled a new version of its Virtual Underwriter system, which provides databases, manuals, forms and real estate practices that streamline the underwriting process. Under the requirements of the Corporate Governance Annual Disclosure Model Act, U.S. insurers will be required to provide a detailed narrative describing governance practices to their lead state or domestic regulator by June 1 of each year. The new disclosure requirements are expected to commence in 2016. Carlton Fields Jorden Burt announced the addition of Robert Schmidlin, former in-house vice president and regulatory counsel to Fidelity National Title Group Inc.
Entrust Solutions added Tim Estes as executive vice president and opened a new office in Birmingham, Ala. The MISMO Residential Standards Governance Committee announced its schedule for the next two releases of the MISMO Residential Data Standard. ALTA plans to create a video of members celebrating the implementation of Best Practices. The video will be played during the 2014 Annual Convention. To help develop the video, ALTA is asking members to create a short video (less than 30 seconds will do) of your staff dancing to Pharrell’s Happy song. Read on for info on how to submit your video. The cover article of this edition titled “Tick Tock, Tick Tock: Implementation of Best Practices Reaches Tipping Point,” highlights why members delved into implementation months ago, shares real-world examples of how implementation was accomplished and discusses the length of time it took to complete the process. The July edition also includes an analysis and timeline of lender third-party service provider liability, photos from the 2014 Federal Conference and Lobby Day, an ALTA member profile, a look at how a drop in refinances dampened first-quarter results, social media tips and much more. Fannie Mae and Freddie Mac have published additional documentation to support the mortgage industry with the implementation of the Uniform Closing Dataset (UCD), which is a common industry dataset that supports the Consumer Financial Protection Bureau’s (CFPB) Closing Disclosure. Stewart Information Services reported pre-tax earnings of $11.5 million during the second quarter of 2014. Land Title and Escrow announced that the company will operate under the TitleOne brand. The name change is effective immediately and is a result of being acquired by TitleOne in March. Maplewood, Minn.-based TitleSmart Inc. received national certification as a Women’s Business Enterprise by the Women's Business Development Center—Minnesota, a regional certifying partner of the Women’s Business Enterprise National Council. The Southern California Property Records Education Partners (PREP) Chapter announced it has cancelled its Sept. 10 conference due to a similarity in topics that will be discussed during the Public Records Industry Association's annual conference. Looking for education on the pillars of ALTA’s Best Practices? Check out our Best Practices playlist on YouTube. Implementation of the Consumer Financial Protection Bureau’s integrated mortgage disclosures is Aug. 1, 2015, and there is no stagger roll out. All mortgage applications prior to Aug. 1, 2015 will use the current Good Faith Estimate, HUD-1 and Truth-in-Lending disclosures. All applications received on or after Aug. 1, 2015 will use the new Loan Estimate and Closing Disclosure. Is Consummation the Same as Closing or Settlement? The Consumer Financial Protection Bureau’s final rule for the integrated mortgage disclosures says the creditor must provide the Closing Disclosure to the borrower three days prior to the consummation of the transaction. This may cause issues in the settlement industry as consummation and closing mean different things in different places. August is a great time to work your way up ALTA’s “advocacy ladder.” What’s the advocacy ladder? It’s is a tool to help title professionals become stronger advocates for the industry at the state and federal level. One rung on the “advocacy ladder” is doing a better job at connecting with local and federal lawmakers. ALTA members that have relationships with elected officials are encouraged to join the Policymaker Liaison program. The Consumer Financial Protection Bureau will hold the second in a series of webinars to address the new integrated mortgage disclosure rule as title and settlement agents, software developers, and other stakeholders work to implement it over the next year. The webinar titled “Frequently Asked Questions on the TILA-RESPA Integrated Disclosures Rule” will be held at 2 p.m. EDT, on Tuesday, Aug. 26. ALTA is working to provide its members with information and resources to implement and prepare for the Consumer Financial Protection Bureau’s (CFPB) Closing Disclosure. To better understand members’ needs and their planning process, please take a few moments to complete a short survey. With ALTA’s Board of Governors encouraging members to conduct a self-assessment of their adoption of ALTA’s “Title Insurance and Settlement Company Best Practices” no later than September 2014, the association has developed assessment readiness guides exclusive to members. Today, ALTA releases a guide for pillar No. 5, which says that adopting appropriate procedures for the production, delivery and remittance of title insurance policies help ensure title companies can meet their legal and contractual obligations. Old Republic National Title Insurance Co. has selected Courion’s Compliance Courier as its access certification solution. Old Republic International reported that its title insurance group posted pre-tax earnings of $26 million during the second quarter of 2013. SoftPro customers who are agents of First American Title Insurance Company will be able to share data between SoftPro’s 360 platform and First American’s AgentNet software. A.M. Best has updated and affirmed ratings for title insurance subsidiaries of Fidelity National Financial Inc. and First American Financial Corp. The system simplifies the complex process of property sales for county clerks and tax collectors, according to Pioneer Technology Group. With guidance from its Best Practices Task Force, ALTA has released its third Assessment Readiness Guide to help members determine if they are prepared to undergo an assessment to determine compliance with ALTA’s “Title Insurance and Settlement Company Best Practices.” The guide released today is for the fourth pillar of the Best Practices, which requires companies to adopt appropriate policies and conduct ongoing employee training helps ensure the company meets state, federal and contractual obligations governing the settlement. Grand Rapids, Mich.-based Sun Title announced it has created a title insurance commitment to assist homeowners, commercial property owners, real estate agents and lenders as they navigate the real estate transaction process. North American Title Co. hired John Shafer to direct the company’s new national commercial division. Polly Epting, president and owner of Coffey County Land Title Co. in Burlington, Kan., received a National Title Professional designation, which recognizes land title professionals who demonstrate the knowledge, experience and dedication essential to the safe and efficient transfer of real property. The ability to electronically record documents recently expanded in several counties in Michigan, North Carolina, South Carolina and Tennessee, two e-recording service providers announced. The emergence of the Consumer Financial Protection Bureau's regulations requires all participants in the settlement chain to be specifically responsible and accountable for their actions. This means title and settlement companies must review and understand the business practices followed by any vendors they utilize. Register for ALTA’s next free Title Topics webinar, which will be held from 2:00-2:30 p.m. Wednesday, July 23, as the presenters share new approaches to comprehensive reviewing, including compliance and risk procedures for title data, search and commitment-ready providers. Agents of the Fidelity National Title family of underwriters can now order and retrieve products from TitleWave, Fidelity’s online title search order and retrieval system, directly from the SoftPro 360 exchange platform. First International Title’s CEO Jim Moran clearly knows what is crucial to the survival of the independent title agent. The Consumer Financial Protection Bureau will hold a field hearing at 10:30 a.m. MDT, Thursday, July 17, to address consumer complaints. The event will be streamed live on the CFPB’s blog. Valerie Grandin has been named executive vice president and chief underwriting counsel for North American Title Insurance Co.
Minnesota-based Title Midwest Inc recently acquired Title Professionals and Abstract Co., which is located in St. Cloud, Minn.
First American Title Insurance Co.'s redomestication from California to the Cornhusker State has been approved by the Nebraska Department of Insurance. TSS Software announced the integration of TitleExpress with First American SMS’ FasTrax platform. The integration allows TitleExpress customers to order release tracking and title clearing services through the RealExpress provider network. Robert Reich, president of NextDeal, said his company is offering SafeSend at no cost because protecting non public information (NPI) has become critical for an industry staggering under a number of new and increased costs. According to a report from Deloitte, U.S. financial services firms lost on average $23.6 million from cybersecurity breaches in 2013. The report provides information on how financial services firms can create a cyber risk management policy to prevent, detect, respond to and recover from the potential damages from cyber attacks. With today's regulatory environment and increasing risk of cyber attacks, title professionals must be vigilant to protect non-public personal information when sending email. Download the June digital edition of TitleNews for information on selecting an email encryption provider and how to successfully deploy a solution. In addition to many other features, this edition also includes an article explaining how to develop hacker-proof passwords. Founded 50 years ago by a small group of downstate Illinois lawyers, Attorneys’ Title Guaranty Fund Inc. (ATG)has evolved into a family of companies offering a broad spectrum of services to more than 4,000 lawyers in Illinois, Indiana, Wisconsin and Michigan. Peter Birnbaum, ATG's chief executive officer, serves on ALTA's Board of Governors. Pioneer Title Co. announced it will expand its state-wide footprint by buying Mountain West Title & Escrow Inc. in Idaho Falls. Founded in 2009 during one of the slowest real estate markets in the past half century, First International Title has grown from a handful of offices to 25 throughout the state. Prior to joining North American Title, Amy Crabtree founded a trustee service company, a public records data company and two national post-closing solutions companies for the title insurance and lending industries. TitleSmart Inc., a certified Women’s Business Enterprise, expanded its footprint with a new branch in Apple Valley, Minn. The Colorado-based underwriter has partnered with Real Estate Data Shield to provide training on data privacy and security across its 10-state operating area. The emergence of the Consumer Financial Protection Bureau's regulations requires all participants in the settlement chain to be specifically responsible and accountable for their actions. This means title and settlement companies must review and understand the business practices followed by any vendors they utilize. Register for ALTA's next Title Topics webinar on July 23 to learn new approaches to comprehensive reviewing, including compliance and risk procedures for title data, search and commitment-ready providers. The certification package can be used by title professionals to demonstrate to lenders that they have implemented Best Practices. The certification package includes a cover page, an agency letter, a Best Practices certificate and a declarations page. ALTA members can use the Best Practices Assessment Preparation Workbook to examine adoption of ALTA’s “Title Insurance and Settlement Company Best Practices” and measure if a company is prepared to undergo an assessment. Read on for details. The Texas Land Title Association named Teresa Frost of National Investors Title Insurance Co. as its Title Person of the Year, while honoring G. Roland Love Winstead PC with the James H. Garst President’s Award, Robin Pearson of Central Texas Title with the Professional Excellence Award and Paul McNutt Jr. of Title Resources Guaranty Co. with the Professional Excellence Award. In his new role, Jim Nelson is responsible for the legal affairs of First American’s domestic title insurance operations, including managing the company’s relationships with state and federal regulators, and with state legislatures across the United States. Entrust Solutions continues to expand its Florida business by opening a new Delray Beach office and adding Wendi Weisman as Florida state counsel. Second-annual awards will recognize companies and recording offices that have made significant contributions to the electronic document recording industry. For the third consecutive year, Plunkett Cooney has been listed among the 350 largest law firms in the United States by the National Law Journal. Have questions about ALTA's "Title Insurance and Settlement Company Best Practices?" Check out the FAQs document, which addresses some commonly asked questions and includes updated information about the assessments and certification. The ratings firm said leading the improved risk-adjusted capital score was a 6 percent increase in aggregate stated policyholders' surplus in 2013 mainly due to earnings and unrealized investment gains. The professional designation was received by ALTA board member Diane Evans of Land Title Guarantee Co. in Denver, Colo.; Nancy LoRusso of U.S. Title Guaranty Company in St. Louis, Mo. ; and Shelley Stewart of Southern Title Holding Company in Daytona Beach, Fla.
As a specialist in corporate positioning and media relations, Ken Schmidt was asked to work with the then-struggling Harley-Davidson to help restore the company’s image and create demand for its motorcycles. Within a few short years, Harley-Davidson became one of the most visible and frequently reported-on companies in the world, while sales of its motorcycles rocketed upward. Register for ALTA’s 2014 Annual Convention to learn how Schmidt helped fuel one of the most celebrated turnarounds in corporate history, and learn how you can create demand in your local markets, drive client referrals and take advantage of the look-alike/act-alike competitive environment. ALTA is extremely encouraged by comments made June 18 by Richard Cordray, director of the Consumer Financial Protection Bureau, that the Bureau is considering issuing more public advisory opinions to help businesses better understand and comply with regulatory requirements. The National Title Services Group will be headed by 30-year industry veteran Guy P. Lundstrom, who will be assisted by Dan Hyma, who has 25 year's experience in the industry. Fortune Title Agency Inc., a title agency based in Roseland, N.J., appointed Nicole Plath as chief executive officer and majority owner. Rich Griffin has joined North American Title Insurance Co. (NATIC) as its new Southwest region agency manager and will handle the states of Arizona, Colorado and New Mexico. Data Trace Information Services, a national provider of title plant, tax information and document images, has added grantor and grantee data to its geographic title plants in Florida. The program aims to raise $40,000 to support Homes for Our Troops, a national non-profit that builds specially adapted homes for service members who have returned home from duty with life-altering injuries since 9/11. The Bureau of Consumer Financial Protection Small Business Advisory Board Act (HR 4383) would establish an advisory board representing small businesses at the Bureau. The advisory board would be similar to an advisory board representing community banks and credit unions. A proposed rule recently released by the Environmental Protection Agency (EPA) and U.S. Army Corps of Engineers (Corps) to expand the reach of the Clean Water Act could increase the cost of new homes without a corresponding benefit to America's lakes, rivers and other water bodies, the National Association of Home Builders told Congress during a hearing recently. Described as “one of the most important voices in the title industry,” ALTA board member John Hollenbeck received October Research’s 2014 Leadership Award during the 10th Annual National Settlement Services Summit in New Orleans. According to ALTA’s 2014 First-Quarter Market Share Analysis, the title insurance industry generated $2.4 billion in title insurance premiums during the first quarter of 2014 compared to $2.9 billion during the first quarter of 2013. As home prices rise, the housing market suffers from a lack of supply and demand. Origination volume has significantly decreased resulting in the Mortgage Bankers Association to cut its 2014 loan origination forecast to $1.05 trillion. Is this the market your company can expect for the next decade? Register for our next Title Topics webinar as Mark Fleming, CoreLogic’s chief economist, outlines how the market is currently operating and shares his thoughts on what to expect in terms of volume over the next year so you can properly prepare and adjust staffing. Title!Snap helps real estate professionals and loan officers provide closing fees, title insurance premiums, recording fees and government transfer fees to consumers so that they know what to expect at the closing table. Peggy Turner started working for TFC in 1991 and over the years rose through TFC’s ranks by managing its First American Title Company office in Hamilton, Mont., before managing an acquisition based in Twin Falls, Idaho. The company will hold a user group meeting in Springdale, Ark., on Thursday, June 19 to introduce and demonstrate its new software, Canaan Title Plant. The integration allows Evergreen Note Servicing to offer account servicing to Arizona private investors, portfolio holders and sub-servicers of seller-financed real estate payments, long-term escrows and private notes. There’s no better way to share your industry knowledge and expertise than speaking at ALTA’s 2014 Annual Convention, which will be held October 15-18 at the Westin Seattle. Have expertise and guidance to offer on implementing ALTA’s Best Practices? Deadline to submit proposals is today. The education courses will cover appropriate procedures and practices to ensure compliance with those laws and regulations impacting the company's business and data-handling operations. The Terrorism Risk Insurance Program Reauthorization Act of 2014 extends the existing TRIA program for seven years while taking steps to further protect taxpayers. While the title industry constantly faces a barrage of regulatory challenges, our industry—like many others—is facing an aging workforce. Download the May digital edition of TitleNews to learn about the importance of providing information about the career opportunities that exist in our great industry. The cover article titled Teach It and They Will Come: Educating Next Generation of Workers Important to Sustain Title Industry’s Future, shares information about ALTA members teaching classes and creating educational material to educate students about the industry’s core competencies. Let us know what you’re doing to help sustain our industry’s future by sending us an email at communications@alta.org. We may highlight your efforts in an article. More than 600 title professionals attended ALTA's webinar on May 20 titled "New Era In Closings: Prepare Now for the CFPB’s Integrated Mortgage Disclosures." Speakers included Cynthia Blair of Rogers Townsend & Thomas, Ben Olson of Buckley Sandler, Mary Schuster of op2 and Dan Wold of Old Republic National Title Insurance Co. The webinar addressed some of the biggest workflow and process challenges title and settlement agents will face as they transition from today’s HUD-1 and GFE to the Closing Disclosure and Loan Estimate, which become effective Aug. 1, 2015. Who fills out and provides the Closing Disclosure to the homebuyer, the three-day rule, redisclosure, calculating title premiums when policies issued simultaneously, labeling and listing of title fees, are some of the issues the speakers discussed. To date, the CFPB has brought 12 cases—out of more than three dozen total CFPB enforcement cases—in which it named individuals as defendants or respondents liable for violations of consumer protection statutes. Read on for a report from K&L Gates as the law firm’s Jon Eisenberg outlines the standards for individual liability in CFPB cases, the actual cases that have been brought and 10 lessons that can be drawn from these cases. RamQuest Inc. promoted Mary Schuster to chief product officer and will mentor and lead a team of title and settlement experts with extensive RamQuest product background. Oak Park, Ill.-based Prairie Title has hired Michael Guerin, Brian Zeng and Steve Gillum as account executives to help manage the company’s growing business across the Chicago metropolitan area. bring years of title industry experience to Prairie Title. According to A.M. Best, the assigned ratings reflect ITC Group’s excellent capitalization as evidenced by its conservative underwriting leverage ratios, which are relatively modest compared to the title industry as a whole. Westcor Land Title Insurance Co. recently added Karen Michaels as senior agency representative. CATIC Exchange Solutions Inc. changed its name to CentricPro Management Services Inc to better reflect expansion of business activities. Old Republic Title Insurance Group announced a joint initiative with its affiliated property and casualty insurance group to provide a newly developed professional liability product to the company’s independent agency force. TitleOne Corp.’s Lisa Bain of the Women’s Council of Realtors Canyon County Chapter, was presented the Idaho State Member of the Year Award for outstanding service to the Women’s Council of Realtors (WCR) local and state chapters. The integration of SoftPro 360 business exchange tool with Data Trace Information Services’ specialty tax service for Texas, which provides settlement agents with information on amounts due to all taxing jurisdictions, prior year’s delinquency status (if applicable), and the current year’s breakdown and payoff amounts for both commercial and residential properties. Among those elected partner was Ben Olson, who before joining BuckleySandler served as deputy assistant director for the Office of Regulations at the CFPB where he played a principal role in the development and issuance of mortgage industry rules mandated by the Dodd-Frank Act. his integration enables NATIC’s agents to generate policies inclusive of their jackets. Additionally, agents are able to produce CPLs without leaving their ResWare title software and process flow management system. Stewart Information Services elected Glenn Christenson, managing director of Velstand Investments LLC, and Arnaud Ajdler, managing partner of Engine Capital LP, to the Stewart Board of Directors. In addition, current board member Thomas Apel was elected chairman of the board and Paul Hobby transitioned to advisory director. ALTA membership is pushing 5,000 as more and more title and settlement agents, and attorneys realize the many benefits the association provides. Check out who has recently became a member. WFG National Title Insurance Co. announced that its Compliance Management System (CMS) is now active and agents can use the electronic platform to access information about key compliance requirements and tools to assist the design of compliance policies and procedures. LenderSecure will host a Best Practices Boot Camp webinar to help title and settlement agents understand and follow ALTA's Best Practices, which can help satisfy regulatory demands on lenders and demonstrate policies and procedures followed to safeguard data, documents and dollars. Among other things, the bill preserves title insurance as an important underwriting risk management standard. ALTA communicates important industry information to members through various electronic vehicles, but members can control which email subscriptions they receive. Find out how. In his new capacity, Nathan Chandler will be responsible for structuring the operational policies and procedures for Linear Title & Closing and its subsidiaries. Orange Coast Title Family of Companies reported that it has successfully completed an audit for implementation of ALTA’s "Title Insurance and Settlement Company Best Practices." Pavaso Inc. collaborated with Farris Title Group in Southlake, Texas, to successfully complete a digitally processed home sale transaction using the Digital Close solution. Ramsey County is the 64th Minnesota county to offer Simplifile’s e-recording service, making Simplifile the only current e-recording vendor available in all of Minnesota’s e-recording counties. North American Title Group has promoted Kimberly Sledd to legal and regulatory compliance specialist. The partnership provides users of ResWare with the option to choose Certus for their recording data. Certus provides guaranteed recording fees and transfer taxes for real estate transactions. The August 2015 implementation deadline for the Consumer Financial Protection Bureau’s integrated disclosures will be here before we know it. The new rules will require significant and costly systems and process changes to ensure compliance in the new world of closings. Register for our next free Title Topics webinar from 3-4:30 p.m. ET, Tuesday, May 20 to get ahead of the curve and learn about some the biggest workflow and process challenges your operation will face as you prepare transitioning from today’s HUD-1 and GFE to the Closing Disclosure and Loan Estimate. Chris Ayoub, who began a distinguished Air Force and Army career in 2003 when he graduated from the United States Air Force Academy, will lead the strategic and operational activities including the day-to-day operations of the company. The Unified Closing Dataset is an effort being led by the GSEs to standardize the underlying data required by the Consumer Financial Protection Bureau’s new Closing Disclosure, which goes into effect Aug. 1, 2015 and will replace the current HUD-1 Settlement Statement. Linear Title & Closing announced that its wholly owned subsidiary, AmeriCal Title Co., has expanded its licensed footprint in California from one county to all 58 counties. Linear Title acquired AmeriCal in 2012 and has been writing title policies in Orange County since that time. Elizabeth Barton has joined WFG National Title Insurance Co. as vice president and underwriting counsel for the company’s agency group in northern New England. Stewart Title has been recognized as one of Denver Post’s 2014 Top Workplaces. The program designates 100 companies in the state of Colorado as being among the best places to work based on employee feedback and participation. In celebration of its 40th anniversary, Michigan-based Liberty Title offers “Pay It Forward” certificates to the buyer and the seller on every title insurance transaction closing through the second quarter of 2014. ALTA announced today during its 2014 Federal Conference and Lobby Day that it has achieved a membership milestone for the fifth consecutive year. 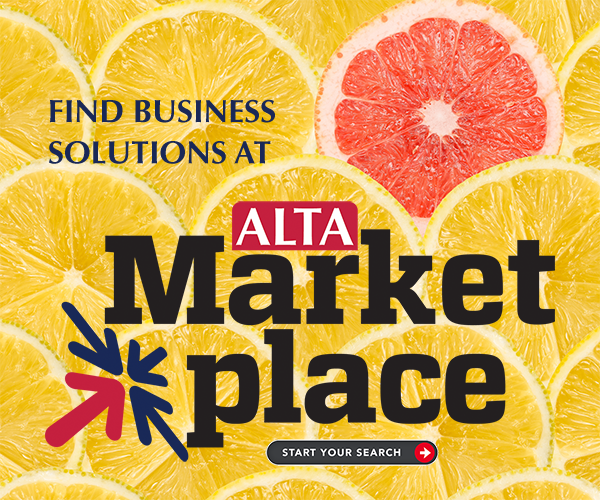 With nearly 5,000 member companies, ALTA has surpassed its 2013 membership record by more than 200 companies. PropertyInfo Corp., a Stewart company and provider of end-to-end records management solutions, has partnered with Ontario County, N.Y., to offer electronic recording services for legal documents via eSecureFile to the county’s submitters, including title insurance companies, lenders, financial institutions and national vendors. ALTA honored six individuals for their efforts in helping to raise a record amount of donations in 2013 for the Title Industry Political Action Committee. Check out a video message that was sent to all members of Congress as ALTA President Rob Chapman explains the importance of the land title insurance industry and highlights the three main points for ALTA’s Lobby Day meetings. The new acquisitions increase TFC’s coverage area to a total of 58 counties in Idaho, Montana, Washington and Wyoming. Lincoln Scoffield will be responsible for the company’s branch operations in Utah, helping to ensure their profitability and overseeing the various department managers. Cory Thompson joined North American Title Insurance Co. as state agency manager to recruit and work with NATIC independent agencies in Ohio and Indiana. With 20 years of experience in working with major title underwriters, Brenda Cannon will primarily be responsible for business development in Northern Florida from Jacksonville to Pensacola. The webinar will cover e-recording questions from the perspective of title agents, banks and attorneys, and provide information on how e-recording can help you address the ALTA Best Practices Pillar No. 4, the business case for e-recording from a submitter perspective and things to consider when implementing e-recording. Pioneer Technology Group announced that the recorder’s office in Putnam County, Ohio, is the latest county to go live with the new Landmark Official Records System. ePN Completes First E-recording in Ramsey County, Minn.
With the addition of Ramsey County, all seven of the metro counties in the Minneapolis/St. Paul area are accepting e-recording of real estate documents, according to eRecording Partners Network. ALTA will hold a 40-minute webinar at 3 p.m. ET, Wednesday, April 30 to help prepare Federal Conference attendees for Lobby Day. Read on for registration information. ALTA has learned that a company known as a room-block poacher is contacting people who may be looking to make reservations for the 2014 Annual Convention, which will be held Oct. 15-18 at the Westin in Seattle. Attorneys’ Title Insurance Fund, a Florida-based bar-related title services provider, appointed John Simmons as president and chief executive officer. He had served as interim president and CEO since March 2013. Loretta Granger Medrano will be responsible for the continued growth of southern California operations, including San Diego and Orange County. CertainSafe, a secure file-sharing platform, announced expansion into the title insurance industry through the signing of Clear To Close Services, a Virginia-based title and settlement sourcing provider. Stewart Information Services Corp. announced an agreement with Business Information Group, a screening services provider that works with some of the world’s largest insurance, securities and financial services firms, to provide standard background checks, occupational health screenings and compliance evaluations. ALTA members and Attendees the 2014 Business Strategies Conference in Nashville can now access audio recordings of all 16 professional development sessions held during the conference. Many of the sessions include handouts and address implementation of ALTA’s “Title Insurance and Settlement Company Best Practices. With purchase orders starting to dominate the market, title companies need to brush up on their service skills in order to ensure business keeps flowing their way. Listen to ALTA's latest Title Topics webinar as Mark Isaac of Gorman Business Consultants examines how to retain customers and attract new business with quality service. The Consumer Financial Protection Bureau will host an open public forum on the mortgage closing process at 2:30 p.m. ET, April 23. The event will feature remarks from Director Richard Cordray, as well as a discussion with consumer groups, industry representatives and members of the public. A livestream of the event will be shown on the CFPB’s blog. ALTA awarded National Title Professional designations to Deborah Scott of Omaha Title and Escrow Inc. in Omaha, Neb., and Crystal J. Peltola of Alaska USA Title Agency LLC in Anchorage, Alaska. TitleOne Corp. announced several executive changes, including the promotion of Mark Tidd as chief executive officer and Doug Brigham to president. In his new role, Jason Bragg is responsible for the overall management of the southwest region and will continue to promote the value of Title Resource with agents throughout Texas, Colorado, New Mexico and Louisiana. Stewart Information Services and Old Republic International Corp. will hold conference calls on Thursday, April 24 to discuss first-quarter 2014 earnings results. Additionally, Equity Pointe co-founders, Robert Denarola, Eric Estrella and Charlotte Shafer, have transitioned to the Old Republic Default Management Services management team. Adeptive Software, the developer of ResWare, has integrated with Westcor’s CPL Service. The integration enables Westcor agents to generate closing protection letters while operating in ResWare’s title software and process flow management system. Pioneer Technology Group announced that the clerk’s office in Wakulla County, Fla., is the latest to complete implementation on the new Landmark Official Records system. Following on the FHA’s announcement in January that it would accept lender-generated loan documents electronically, the move by one of the nation’s leading mortgage investors demonstrates continued momentum of electronic signature acceptance among financial service providers for facilitating digital transaction management. The loan origination system provider reported the unexpected surge in service requests to web servers that resulted in the outage on March 31 was triggered by a confluence of factors involving network, hardware, software and demand for service. ALTA has created a video explaining how to complete the Best Practices Assessment Preparation Workbook. The three-minute video walks you through the different components of the Excel file, including the questionnaire, worksheet and the valuable action-items report. Revisions to ALTA's Closing Protection Letters for multifamily and single transactions, endorsements for tax credits and the ALTA Short Form Expanded Coverage Residential Loan Policy have passed through the comment period and published in final on the ALTA website. Several comments were accepted and publication headers have been updated, so it is important that the final publications be downloaded. With purchase orders starting to dominate the market, title companies need to brush up on their service skills in order to ensure business keeps flowing their way. Join us for our next Title Topics webinar “Seven Slight Edges to More Referral Sources,” from 2:00-2:30 p.m. ET, Wednesday, April 16 as Mark Isaac of Gorman Business Consultants examines how to retain customers and attract new business with quality service. Learn new ways to actually provide quality service rather than just saying it. A lot has changed in the 30 years since computer programmer and entrepreneur Loren Harrell launched SoftPro, a provider of title, closing and escrow software. The integration allows Clarifire technology users to automate orders of First American title products. PropertyInfo’s records management solution for the Denver Clerk & Recorder’s office includes cashiering, imaging, indexing with CountyFusion’s OCR/ICR advanced indexing technology and redaction, full reporting capabilities, performance metrics and allows for e-recording. The company will host a conference call at 11 a.m. ET, April 24 to discuss 2014 first-quarter earnings. The integration allows users of ResWare to post signing requests to Notary Direct via an automated tool. Today's regulatory environment requires that non-public personal information (NPI) be sent securely. But how do you encrypt an email? How can a title professional be confident they are selecting the right solution? During ALTA’s March Title Topics webinar, Scott Fairbanks of GreenFolders and Greg McDonald of Cloudstar discussed how technology advancements have made email encryption easier and explained how title professionals can better protect their clients’ NPI. Listen to a recording of the webinar to learn about the different delivery options that are available and how to select a solution that meets a company’s needs. Stewart said the acquisition of Wetzel Trott Inc., a Michigan-based company specializing in quality control reviews for residential lenders, will strengthen its quality control audit and due diligence offerings for the mortgage origination and servicing space. LodeStar Software Solutions, a New York- based company specializing in web-based compliance and sales generation tools for the title industry, announced it is now a software partner vendor with the Fidelity National Title Group. Armstrong County’s Recorder of Deeds Marianne Hileman announced her office now offers electronic recording of documents through Simplifile. The transaction represents a significant expansion of Stewart’s mortgage services offerings and centralized title operations, in addition to expanding the company's retail office footprint. With purchase orders starting to dominate the market, title companies need to brush up on their service skills in order to ensure business keeps flowing their way. Register for ALTA's next free Title Topics webinar on April 16 and get a competitive edge in growing your business. After today, Microsoft will stop providing technical assistance for Windows XP, including automatic updates that help protect computers. Windows XP will still function normally; however, it will be open to various malicious attacks that Microsoft will no longer fix. Michael T. Bates joined North American Title Insurance Co. as its new Southeast Region underwriting counsel and will handle the states of Tennessee, Alabama, Mississippi, North Carolina and South Carolina. Fidelity National Financial will release first- quarter 2014 earnings after the close of regular market trading on April 30. Testifying at a Senate Homeland Security and Governmental Affairs Committee hearing on data breaches, Tim Pawlenty urged Congress to pass legislation that would create a national breach notification standard and require companies that accept credit or debit card payments to have policies and procedures in place to protect consumer data from hackers and act on breaches as they occur. Mississippi has become the 43rd U.S. state to open its doors to electronic document recording (e-recording) with Simplifile, making the service available in Harrison County’s First and Second Judicial Districts. The CFPB said the purpose of the 89-page compliance guide is to provide an easy-to-use summary of the TILA-RESPA rule and highlight issues that settlement agents and small creditors might find helpful to consider when implementing the rule. Senate Banking Committee Chairman Tim Johnson (D-SD) and Ranking Member Mike Crapo (R-ID) announced the committee will markup bipartisan housing finance reform on Tuesday, April 29. ALTA was successful on its main focus to ensure that the introduced bill includes standards requiring title insurance in the future housing finance system. The company's eight North Dakota offices will operate as North Dakota Guaranty & Title Co. According to the Mortgage Bankers Association, the top 10 mortgage originators in 2013 include top originators include Wells Fargo, J.P. Morgan Chase & Company, Bank of America Merrill Lynch, Eastdil Secured, KeyBank, PNC Real Estate, HFF LP, Meridian Capital Group LLC, CBRE Capital Markets and Prudential Mortgage Capital Company. Majesty Title reported it completed the assessment process and attained a pass rating for all seven pillars included in the compliance benchmarks of ALTA’s Best Practices certification. Responding to the alarming increase in the frequency and severity of cyber breaches, viruses, hacks and numerous other cyber threats, Capital Professional Insurance Managers offers a special cyber/privacy risk insurance program for title professionals. ALTA Blog: What Document Should Be Used for Sellers After Aug. 1, 2015? Several title professionals have asked what document should be used as the settlement statement or Closing Disclosure for sellers after August 2015, when the CFPB’s final rule for integrated mortgage disclosures goes into effect. Read on for information from ALTA's blog, where you can find additional analysis on the CFPB's final rule for integrated mortgage disclosures. The title insurance industry generated $12.7 billion in title insurance premiums in 2013, compared to $11.4 billion the previous year, according to ALTA's preliminary 2013 Year-end and Fourth-Quarter Market Share Analysis. For two years, professionals across the United States have banded together to promote the value of the land title industry. This advocacy has played a crucial role in presenting an energetic and unified voice on behalf of our industry. As TAN marks its second anniversary today, the grassroots network has had plenty to celebrate over the past 24 months with legislative and regulatory victories in Minnesota, New York, Indiana, Colorado, Ohio and Michigan, as well as the U.S. House of Representatives and Consumer Financial Protection Bureau at the federal level. In just two years, the Title Action Network has developed substantial momentum and made its presence known across the nation, from state capitols to Washington, D.C. Read on for information about some exciting TAN Membership Recruitment Challenges. It’s important to build a grassroots network in each state, so when a bill is introduced the industry can respond quickly and provide input. Kensington Vanguard National Land Services recently opened its first office in the greater Washington, D.C. market with the acquisitions of New Era Title and Clear to Close Settlement Services. Stories from constituents are consistently spread from member to member in the halls of Congress and shared during town hall meetings and floor speeches. A graphical look at the Title Action Network’s growth over the past two years, state partners and other interesting data about the grassroots organization. The Title Action Network recently partnered with the Michigan Land Title Association to send an alert urging land title professionals in Michigan to contact their state representatives to express support for legislation that would address recording issues caused by a bankruptcy court ruling in 2009. Nancy Gusman and Steve Buckman, both active ALTA and Maryland Land Title Association members, joined Ben Lincoln, ALTA’s director of government affairs, during a meeting with U.S. Rep. John Delaney (D-MD), who is a member of the House Financial Services Committee. Jim Lamphere was named vice president of title and escrow services and will be responsible for growing the HomeServices Title and Closing Network including workflow, technology and establishing new business opportunities. ResWare users have the ability to create multidimensional reports and visualizations, and customize report output using point-and-click functionality. Sales of newly built, single-family homes fell 3.3 percent to a seasonally adjusted annual rate of 440,000 units in February, according to newly released figures from the U.S. Department of Housing and Urban Development and the U.S. Census Bureau. Pioneer Technology Group’s Benchmark case management system received Court Application Processing System approval from the Florida Office of the State Courts Administrator. Selecting and negotiating the right insurance product can be a challenge because of the lack of standard language and issues with "off the shelf" policies. Read on for guidance from K&L Gates. In a newsletter to its network of settlement agents, Wells Fargo indicated it will continue to enhance its third-party oversight capabilities for title and settlement companies in order to monitor and measure performance. In order to be recognized as a top performer, the lender announced support of the Best Practices and encouraged settlement agents to implement the policies and procedures outlined in the seven pillars. If you attended the conference but missed a general session, or couldn’t join us in Nashville, ALTA recorded the presentations so you can listen to the great information shared about the CFPB’s integrated mortgage disclosures, identity fraud and Best Practices. Less than two months after the Federal Housing Administration expanded its electronic signature policy, Stewart Title announced the first electronically closed FHA loan in partnership with Mountain America Credit Union. TitleOne Corp. has acquired Land Title and Escrow, a title company located in southern Idaho with about 50 employees at five offices in Twin Falls, Jerome, Gooding, Rupert and Burley. The total includes $1 billion of residential properties and more than $550 million of commercial purchase and financing activity. But what does that mean to encrypt an email? How can a title professional be confident they are selecting the right solution? Register for our next Title Topics webinar to learn what an encrypted email is and why it’s important, understand the different delivery options that are available and how to pick a solution that meets your needs. Attending ALTA's 2014 Business Strategies Conference in Nashville but want others in your office to be part of the discussion? Can't make it to the convention but can't afford to miss out on the great information? Join our Virtual Conference or invite others to participate as ALTA will provide live video from the general sessions. You can watch all of the general session speakers and activities live at livestream.com/ALTAonline on your computer or mobile device. Friday's general session will be from 10:30 a.m. to 12 p.m. CT. and will feature the sessions "You Can Handle the Truth About Your NP" and "The Age of Wisdom and Foolishness: Navigating Conflicting IT Currents." Check out photos from the opening reception, general session and professional development sessions of ALTA's 2014 Business Strategies Conference in Nashville, Tenn., as well as ALTA's inaugural Social Media Summitt. RealtyTrac has added new environmental and local information for the 108 million property addresses searchable on its website, giving real estate consumers more data to make informed purchasing decisions. Mobile County is the fourth Alabama recording jurisdiction to make Simplifile’s e-recording service available, joining Elmore, Montgomery and Shelby counties. ALTA's 2014 Business Strategies Conference will provides a diverse playlist of sessions, highlighted by Best Practices, integrated mortgage disclosures and fraud. Read on for a full preview of this year's conference. Watch live video from all of the general sessions at livestream.com/ALTAonline on your computer or mobile device. The American Land Title Association applauded Senate Banking Committee Chairman Tim Johnson (D-SD) and Ranking Member Mike Crapo (R-ID) for developing a bipartisan agreement on a housing finance reform proposal. The law firm K&L Gates explores two important aspects of the Consumer Financial Protection Bureau’s enforcement actions to date. In Part I, K&L Gates analyzes the number of cases that are brought administratively versus in court, the frequency with which individuals are named, the nature of the products involved, the alleged violations, the statutes allegedly violated and to how often the cases settle. In Part II, the law firm explore in detail the nature of the remedies/sanctions imposed as a cost of resolving the actions. These remedies/sanctions are important precedents that will likely guide future resolutions as well. Finally, K&L Gates concludes with nine observations about the current program. Celeste Zajac was named sales manager for North American Title's new office in Merrillville, Ind. According to the company, the technology will help enable agents to meet ALTA Best Practices and demonstrate safeguards to clients. The integration with Fidelity National Title Group’s agentTRAX product is designed to provide a process for requesting, updating and voiding policy jackets directly through TSS' TitleExpress. The company received HousingWire’s 2014 HW TECH100 Award for innovative solutions the company offers to the mortgage and settlement services industries. hal Systems thinks so, and is celebrating its 40th year in operation on April 12. Best known for its flagship product, the halFILE Title Plant Manager, hal Systems has served over 450 title-industry related customers throughout the United States. Several sessions at ALTA’s 2014 Business Strategies Conference in Nashville are dedicated to help title professionals implement Best Practices. Tom Rostad, who was president and co-owner of Dane County Title Co., passed away on Feb. 8 after an 11-year battle with prostate cancer. A long-time member of the Wisconsin Land Title Association, Rostad, was a member of ALTA for 20 years and a strong supporter of the Title Industry Political Action Committee. He attended many ALTA conventions and meetings, including nearly every Annual Convention from 2000 to 2011. The ALTA Board of Governors approved recommendations to adopt two new endorsements and make revisions to two closing protection letters and a short form policy during a meeting on Feb. The forms are under an industry comment period until March 28. Read on for details. Richard Horn, former senior counsel and special advisor with the Consumer Financial Protection Bureau (CFPB), has joined Dentons as a partner in the law firm’s Washington, D.C., office. At the CFPB, Horn led the final rulemaking for the integrated disclosures under the Truth in Lending Act and the Real Estate Settlement Procedures Act. Looking to enhance your company’s sales and marketing efforts to drive new business, but can’t make it to Nashville for ALTA’s Social Media Summit? Register to watch the Summit online via livestream, which will be held from 2-6 p.m. ET (1-5 p.m. CT), Wednesday, March 12. The Jesse White Foundation Board of Directors recently elected Peter Birnbaum, president and CEO of Attorneys’ Title Guaranty Fund Inc. as its president, and Sarah Boeckman, ATG’s counsel, as secretary of the foundation. Birnbaum who serves as treasurer on ALTA’s board of governors. Lisa Aubrey has joined WFG National Title Insurance Company as a senior vice president and state manager for the company’s agency division in New Jersey and Pennsylvania. Selected from a list of more than 1,500 nominations, SoftPro was honored with a Gold Stevie Award for National Sales Team of the Year at the Eighth Annual Stevie Awards. Counties in Florida, Michigan, Nebraska, New Jersey and Wisconsin either installed software to begin accepting documents electronically for recording or updated their system to improve efficiency. The fourth pillar of ALTA’s “Title Insurance and Settlement Company Best Practices” provides guidelines for recording procedures. The use of e-recording can aid in the implementation and documentation of recording procedures. The Consumer Financial Protection Bureau ordered Connecticut-based lender 1st Alliance Lending to pay an $83,000 civil money penalty for violating federal law by illegally splitting real estate settlement fees. Zwiren Title Agency Inc., a business specializing in title insurance and settlement services, received national certification as a Women’s Business Enterprise by the Women President’s Organization, a regional certifying partner of the Women’s Business Enterprise National Council. L2 Capital, private equity firm, completed the acquisition of reQuire LLC, an online lien release tracking and reporting service for the real estate settlement services sector. FinCEN said this will provide law enforcement and regulators with a more complete and timely national picture of suspected mortgage fraud and money laundering, and assist with investigations and prosecutions of significant fraud schemes. The average home size has continued to rise for the past four years, from 2,362 square feet in 2009 to 2,679 square feet in 2013, according to the National Association of Home Builder's assistant vice president for survey research. YourDox secure file imaging, delivery and marketing system will be available nationally to Fidelity National Title Group agents. Need Help Implementing Data Security Controls? How can a title agent or abstracter protect itself and its clients’ non-public personal information? Register for ALTA’s next Agents & Abstracters Forum on March 12 in Nashville, Tenn., to get information tailored to help agents and abstracters start the compliance process, implement data security controls, develop written policies and conduct onsite security assessments. When Does the Three-day Rule Start to Run? According to the Consumer Financial Protection Bureau’s final rule for integrated mortgage disclosures, the borrower must receive their Closing Disclosure at least three business days prior to the date of consummation of the transaction. Check out ALTA's blog for a description of how to decide when the clock starts ticking. Juliann Hickey has been appointed senior vice president and eastern regional manger and Mickey Godat has been appointed vice president and eastern regional underwriting counsel. Register for ALTA's next free Title Topics webinar as Wayne Stanley, ALTA’s manager of public affairs, offers insight to help you develop or start a social media marketing plan, and explains the various tools ALTA provides to help members enhance social media efforts. The digital version of the February edition includes exclusive bonus material including a webinar recording on the Affordable Care Act. Download your edition today so you can read on the go, and share information with your staff and customers. After spending a summer doing real estate research following her second year at Boston University Law School, Ruth Dillingham became hooked on the registry of deeds. She loved working with the historic records. Discovering who had owned what and when fascinated her. She never imagined sparking a registry romance that has lasted 32 years and is still going strong. Working as a young attorney for a firm specializing in courthouse examinations, Diane Calloway often spent her days in the DeKalb County Record Room in Decatur, Ga. She loved sifting through the deed books and poring through the heavy plat books. Little did she know that she’d find more than legal descriptions and breaks in the chain of title. Throughout February, ALTA is sharing “28 Ways We Love Title” on its social media channels. Be sure to follow along on Facebook and Twitter. You can also share some of the ways you love the title industry. You can also email suggestions to social@alta.org. A general session at ALTA's 2014 Business Strategies Conference (March 12-14 in Nashville) will feature a live hacking session to highlight computer and network vulnerabilities, and provide real-world examples of how vulnerable settlement agents’ systems are to network breaches when it comes to physical and network security. Participating will be Pat Carney of reQuire, Greg McDonald of CloudStar Consulting, Randall D'Arche of WFG National Title Insurance Co. and Andy Maloney of Nashville Title Corp. Read on for more information and to register. Security breaches have become common in the news. Target and Neiman Marcus were the latest targets as fraudsters hacked into computer systems and obtained millions of customer names, account numbers, PINs, addresses, telephone numbers, and email addresses have been compromised. How can a small title agent or abstracter protect itself and its clients’ non-public personal information? Register for ALTA’s next Agents & Abstracters Forum on March 12 in Nashville, Tenn. Register today to get information tailored to help agents and abstracters succeed. First American Financial Corp. has signed an agreement with Verisk Analytics Inc. to acquire Interthinx Inc., a provider of loan quality analytics, decision support tools and loan review services for the mortgage industry, for $155 million. Brad Fisher was named the new president of Edina Realty Title. He succeeds Greg Mason, who was recently named president and CEO of Edina Realty Home Services. Attorneys’ Title Guaranty Fund Inc. announced the election of Ward F. McDonald as chair of the board of directors for the organization, which celebrates its 50th anniversary in 2014. Simplifile, a national provider of electronic recording services, has appointed Nancy Alley to the position of vice president of strategic planning. According to the company, the new platform offers a streamlined experience for its customer segments that include home buyers and sellers, residential and commercial real estate professionals, builders, lenders and attorneys. The good news for title companies and attorneys is that from a purely operational standpoint, many of them are already in compliance with ALTA’s Best Practices. Read on to learn how the law firm McCurdy & Candler worked with a certified public accounting firm to verify compliance. Michelle Korsmo will discuss how regulatory pressure and risk management are changing the way real estate transfers are conducted, and highlight ALTA’s Best Practices framework, which provides a standard assessment of title insurance and settlement companies for use in the marketplace. Old Republic Title Insurance Group announced that John A. Magness has been was promoted to the new position of chief operating officer, while Richard A. Wilson has been promoted to president of the Eastern Title Group. Nick Hacker who joined North Dakota Guaranty & Title in July 2012 as the company’s office manager in Williston, was promoted to president. Alaska has become the third multi-jurisdictional state in which 100 percent of its recording jurisdictions are eRecording enabled. The availability of a “Lease Alert” and a "Lease Check" are aimed at improving productivity in the oil and gas community. Longmont, Colo.-based Alliant National Title Insurance Co. reported it successful passed the Service Organization Control (SOC) 1SM SSAE 16 examination, which resulted in the company receiving an American Institute of CPAs report stating it has maintained effective controls over its agent quality management system. The 2014 Land Title Compliance & Technology Conference, which will be held Feb. 7 at the Hilton Orlando Resort, will feature "how-to sessions" to help title agents understand the complex changes impacting the market, including new regulatory compliance guidelines and implementation of ALTA’s “Title Insurance and Settlement Company Best Practices. To provide a little interaction during President Obama's State of the Union address tonight, ALTA has created a SOTU Bingo card. Read on to find out how to play. RamQuest named Paul Bandiera as its new president, while Mark McElroy will assume the position of president and CEO of Guardian Consumer Services, which is developing solutions for the real estate, such as Pavaso and Digital Close. By acquiring New Title Era and Clear to Close Settlement, the company was able to officially open its first Washington, D.C., area office. Suzanne Wentz has been promoted to vice president of sales and marketing at Bismarck, N.D.-based North Dakota Guaranty & Title Co. The app includes real-time communication, an in-app closing calendar and integrated GPS directions. Despite robust and sophisticated network security systems, companies remain vulnerable targets for cybersecurity breaches and the host of negative consequences that typically follow. Roberta D. Anderson of the D.C.-based law firm K&L Gates highlights recent data-breach cases and explains why it’s important for companies to consider obtaining cyber insurance. To celebrate the milestone, Simplifile teamed up with the Arbor Day Foundation to plant 1,000 trees in the nation’s forests. The fourth pillar of ALTA’s "Title Insurance and Settlement Company Best Practices" addresses recording standards to ensure a compliant settlement process. E-recording can aid in the implementation and documentation of these procedures. Old Republic International will discuss earnings on Jan. 23, while Fidelity National Financial and First American Financial will hold conference calls Feb. 13. Title professionals have a great opportunity to tune-up their operations by attending the 2014 Business Strategies Conference, which is being held March 12-14 in Nashville, the city where music is written, recorded and performed every single day. You’ll leave knowing the latest industry trends to keep business flowing your way. The general sessions will address the top process challenges title companies will face as they transition from today’s HUD-1 to the new Closing Disclosure Form, address ways to prevent fraud at the closing table by explaining how to recognize a fraudulent ID and feature a live hacking session to highlight computer and network vulnerabilities. Melissa Shapiro has joined North American Title Co. as senior vice president, Arizona state manager. Black Hawk County Abstract & Title once again partnered with two local charitable organizations to help make the Christmas season a little brighter for area families. Stewart Information Services Corp. announced that its chief economist was recognized in the 2013 Swanepoel Power 200 List (SP200), while the company's chief executive officer made the Outsiders list recognizing real estate leaders who have had a noteworthy impact on the industry. The integration enables RamQuest Closing Market customers to maintain a life-long presence with home buyers and sellers as Fort Dox gives title agents the ability to facilitate digital delivery and access to all closing documents. Held annually for users of SoftPro’s software, the conference will focus on preparations for implementing the Consumer Financial Protection Bureau’s final rule to integrate mortgage disclosures. Pittsburgh-based Howard Hanna Real Estate Services announced Jan. 8 the merger with William E. Wood and Associates, and its subsidiaries including Heritage Title and Towne Mortgage. The Mortgage Bankers Association lowered its forecast for mortgage originations in 2014 by $57 billion to $1.12 trillion for the year, based on declining mortgage application activity and increasing interest rates. Read on for new purchase and refinance projections. ALTA membership is near 5,000 and continues to increase as more and more title and settlement agents realize the many benefits the Association provides. Check out which companies have recently become members. To help prepare for what’s expected to be a purchase-dominated market, ALTA’s next Title Topics webinar from 2-2:30 p.m. ET, Wednesday, January 15, will provide an outlook for the 2014 real estate market, offer insight into regional and local trends, and analyze home-buyer trends. Register today. Old Republic National Title Insurance Group has promoted Chris Lieser to senior vice president and chief financial officer. Tampa Bay, Fla.-based Hillsborough Title announced it acquired the operations of Paramount Title Corp. The Louisiana State Law Institute has selected Stephen Sklamba, Louisiana underwriting counsel for WFG National Title Insurance Company, to chair a committee that will recommend changes in the state law governing tax sales and study the feasibility of adopting a tax lien process in Louisiana. SoftPro, a national provider of title, closing and escrow software, announced it has more than doubled its staff over the past year. RedVision, a nationwide provider of real property title data, search examination and curative-ready solutions, announced that its New York-based employees successfully completed staff-training courseware that awarded a certificate of completion toward meeting ALTA’s “Best Practice Pillar No. 3” requirement of staff-training in data security. Just as Nashville’s connection to music is unequaled, and its reputation as Music City has been consistently proven, the title industry’s ability to meet the needs of its customers with industry Best Practices is worthy of a Grammy Award. Join us for the 2014 Business Strategies Conference, being held March 12-14 at the Omni Nashville, in the city where music is written, recorded and performed every single day. You’ll leave knowing the latest industry trends to keep business flowing your way. CATIC's Board of Directors announced the election of Guy DeFrances Jr. to the position of vice president/general counsel. WFG Title Company of California seeks to continue its growth in the California market by naming Bryan Kelley as senior vice president and Orange County manager. On the heels of being voted “Best Title Agency” in the New York Law Journal’s 2013 Reader Rankings, New York-based TitleVest announced the expansion of its Lower Hudson Valley operations with the addition of title insurance and real estate professionals Jennifer Noto and Fern Vozza to its White Plains office. The integration allows agents of Fidelity National Title Group to request and download policy jackets through the Landtech XML Settlement System.